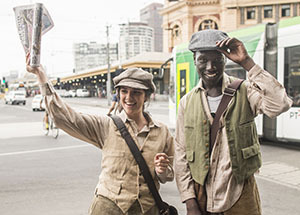 The Newsboys Foundation has partnered with the Victorian Student Representative Council (VicSRC) to help extend the reach of the Newsboys Foundation Leadership Awards in 2015. The Newsboys Foundation Youth Leadership Award, in partnership by VicSRC, recognises an exceptional Victorian student leader. The 2015 Newsboys Foundation Youth Leadership Award was won by Roghayeh Sadeghi. Details of Roghayeh’s win can be found here and the VicSRC website.